How can i reduce the distance between StarRating and his Form-Description? I have a little problem with the description on Star Rating box. I use in the sidebar of my website and i've tried without good result, because the description is too far. I need in form-description not RIGHT: -202px; but RIGHT: -30%. How can i modify this css part? or add if i can.. 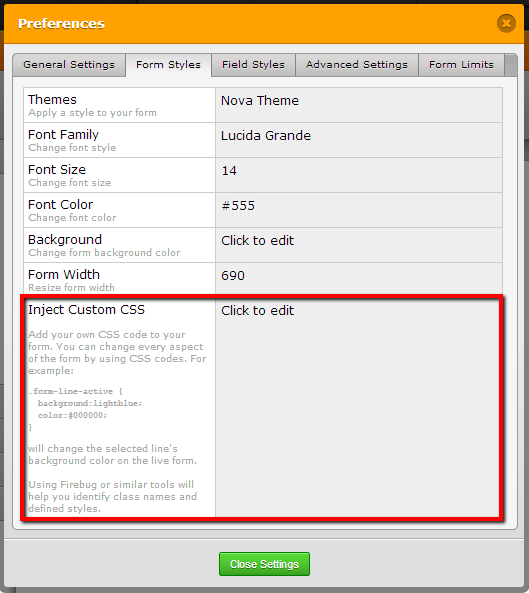 If you know the exact css to be added to your form, you can add the css code. Please follow steps below. 1. Click Setup & Embed.